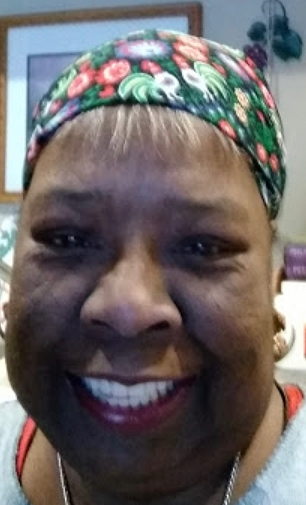 Patricia D. Blunt, 62, of Charleston, WV, passed away Tuesday, April 9, 2019, at her residence. She was born March 17, 1957 in Kansas City, MO, to parents Martin and Ethel Mae Holmes. Patricia was preceded in death by her father, Martin Holmes, grandparents, William and Gloria Lockhart, daughter, Marcia M. Blunt and brother, Albert Funderburk. She is survived by her mother, Ethel Mae Holmes of Kentucky, son, Fred L. Blunt III of West Virginia; daughter, Gloria Jarvis (J. Ryder) of Texas, brothers, Walter Holmes of Kentucky, Ronald Funderburk of Indiana and Rudolph Funderburk of Texas, sisters, Pam Valentine of Kentucky and Kandis Booker of Missouri, grandchildren, Chantasia Best and Nijha Holmes of Kentucky. A memorial service will be scheduled at a later date.